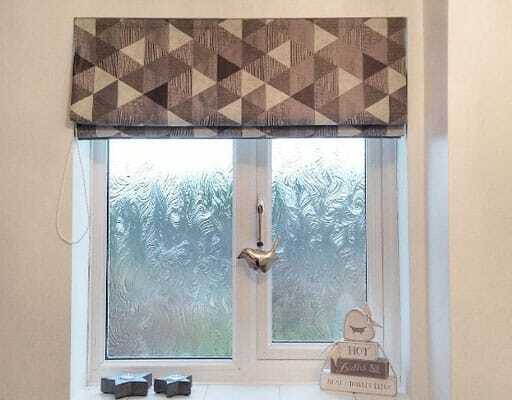 While we love to give you all the info you need to pick your perfect blind, sometimes you can't beat a bit of real life inspiration. We're very lucky to have lots of talented designers/ photographers as customers to show you the way. 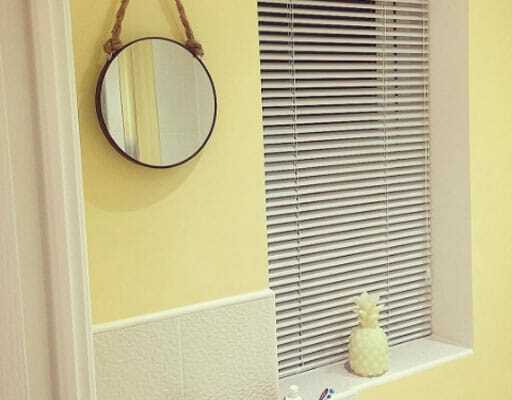 Take a look at our gorgeous customer snaps and be inspired to create your own ideal home. And once you're done, feel free to share your stunning creations with us on social media! 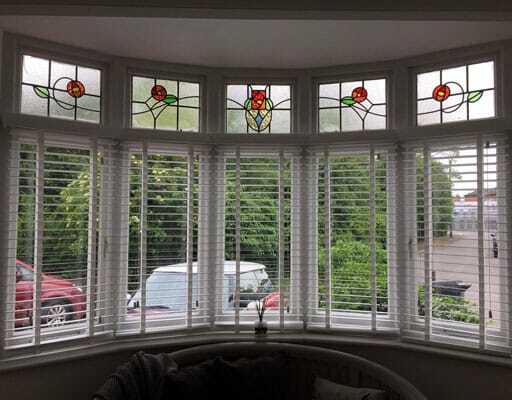 Bay windows can be tricky customers. 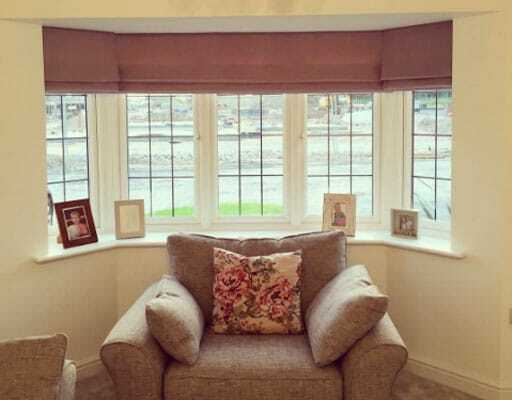 A roman blind just like Emma's is a fab choice for covering the gaps between each window with beautiful fabrics. Great job! 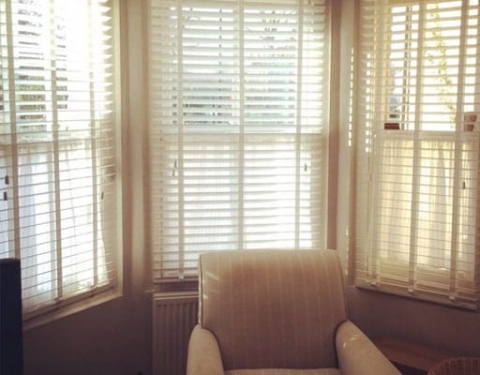 A lovely light colour scheme, a beautiful box bay and bright white wooden blinds. Sounds like pure bliss to us. 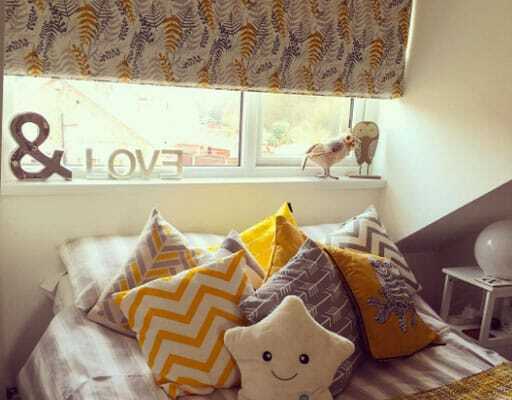 We're very impressed with Meg Crompton's designer eye. 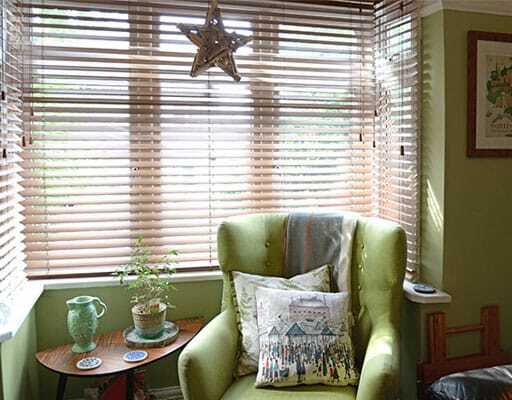 Bay windows let in loads of light so you want to make the most of it. 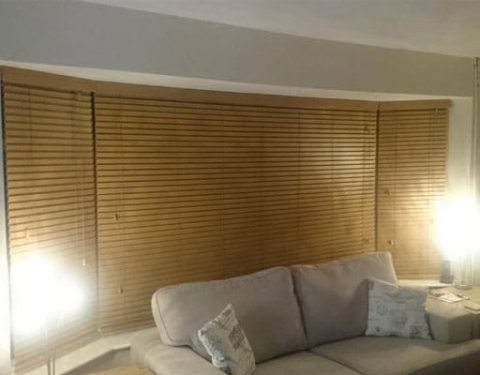 Dee went for our Wood Impressions blind to maximise light control and it looks positively lovely. 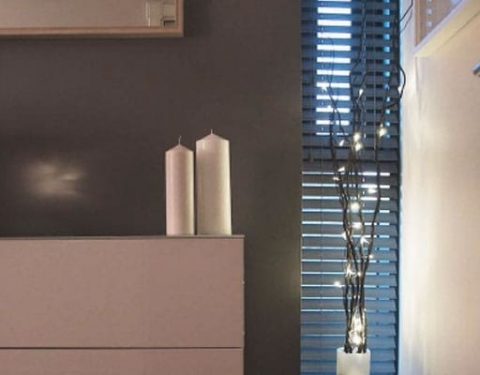 For those pesky small spaces, nothing but made to measure will do. 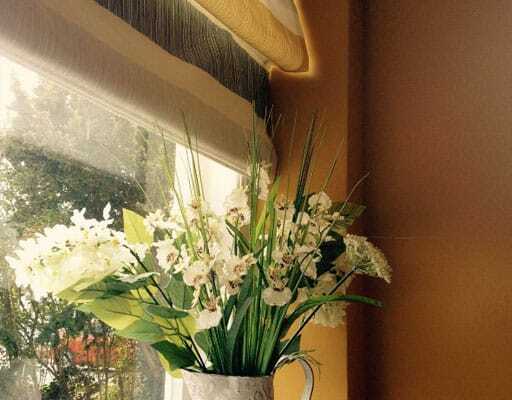 Luckily, we make it simple for you to make your teeny windows look beautiful. 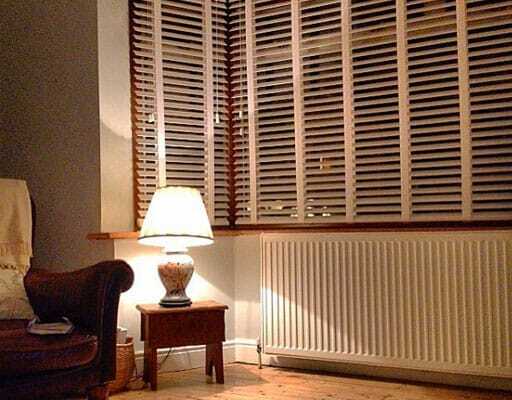 Amy opted for our Smoke Whisper wooden blind and just look at the result. 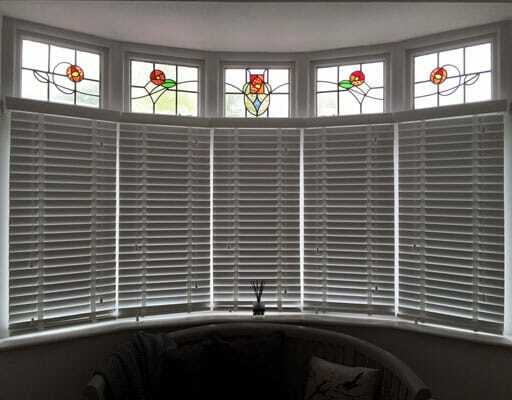 Hayley can still let lots of light in their long, thin window thanks to a wooden venetian. It gives them privacy and ties into the modern scheme. Just stunning. You don't need to be scared of patterns provided you get the colour scheme just write. 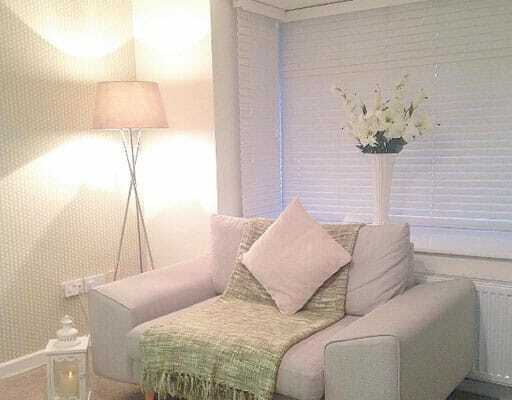 Linda has decorated her entire holiday home in beautiful serene blues and Blinds 2go patterns. 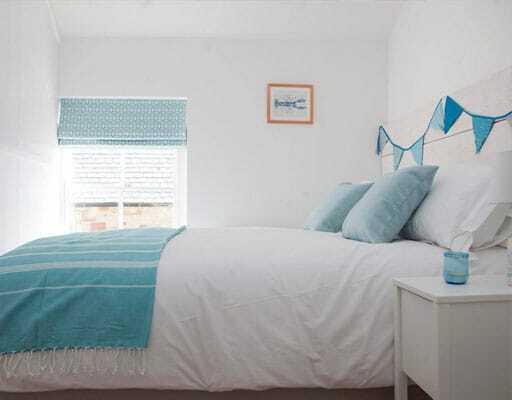 We love this Scion Living Lace Powder Blue roman in the bedroom. 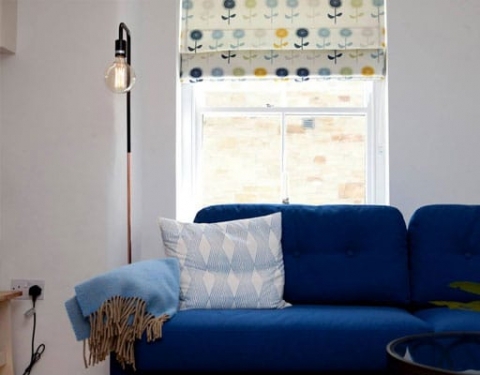 A few dark blue tones and our very own exclusive Scandi Blooms roman blind make for a cosy lounge. Yellow and grey are a very 'now' combination. They come together beautifully in these two shots. 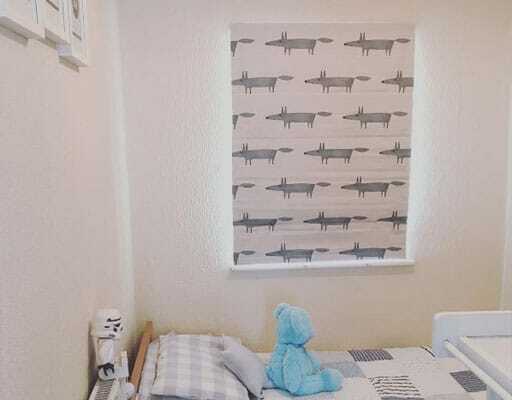 We have to admit, we're a little biased when it comes to our Choices Arboretum Dijon roller blind. 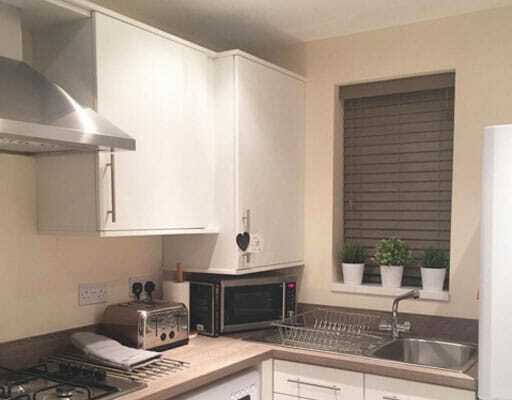 Not only is the design exclusive to us, this room has been put together by one of our very own Customer Service team. See? We do know what we're talking about!